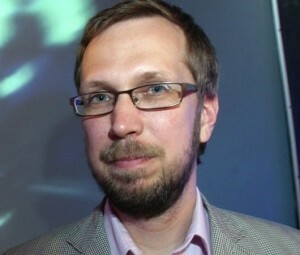 Indrek Ibrus is Associate Professor at Tallinn University’s Baltic Film, Media, Arts and Communication School. He is also the head of Tallinn University’s Center of Excellence in Media Innovation and Digital Culture (MEDIT) that is, among other topics, focusing on recycling audiovisual heritage content for innovative purposes. Indrek recently served as the advisor of audiovisual affairs at the Estonian Ministry of Culture, he is also the member of Estonia’s Digital Cultural Heritage Council. He has published extensively on media innovation/evolution, audiovisual media industries and policy making, transmedia and cross-media production, mobile media, media semiotics. He is a co-editor of Crossmedia Innovations: Texts, Markets, Institutions (Peter Lang, 2012) and the editor of Baltic Screen Media Review. He received his PhD from London School of Economics and Political Science.